The Grand Finale! Honeymoon Part 6: Paris. Paris was our final stop on the honeymoon. It was quite a shock to go from the calm of Aix to a busy city like Paris, but after a day or so we adjusted to the change of pace. 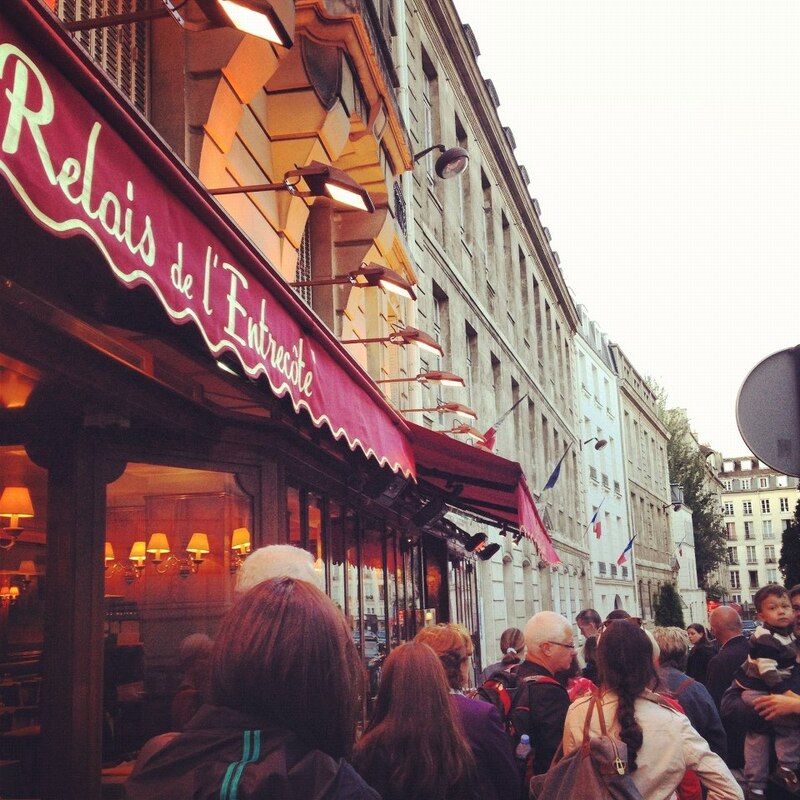 With so many amazing sites to see in Paris, we worked up quite an appetite. 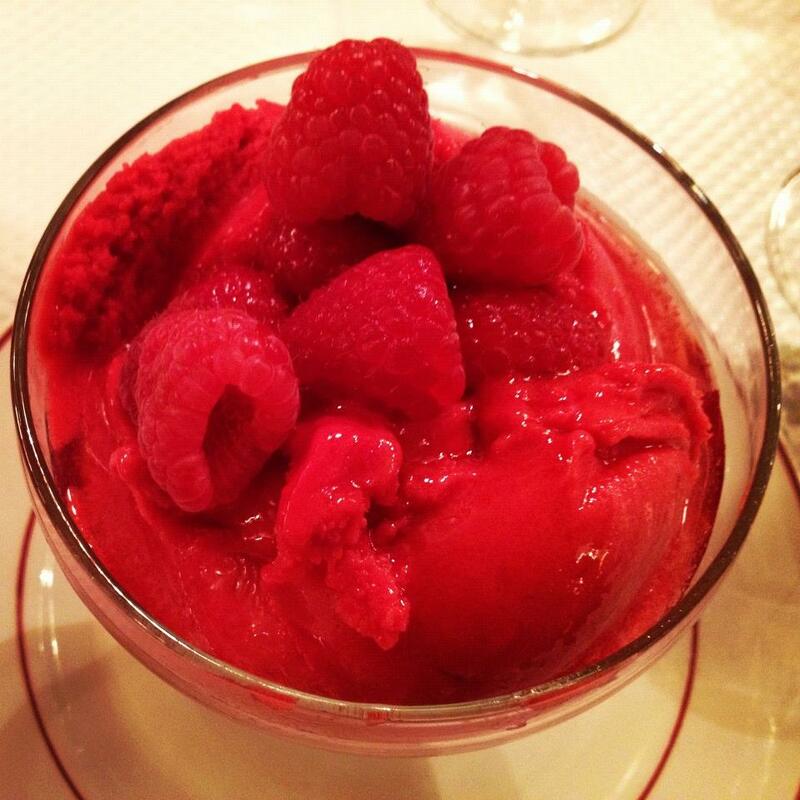 Of all the delicious food we ate on our honeymoon, I can say that I enjoyed the food in Paris the best. The food there is rich, decadent and flavorful. 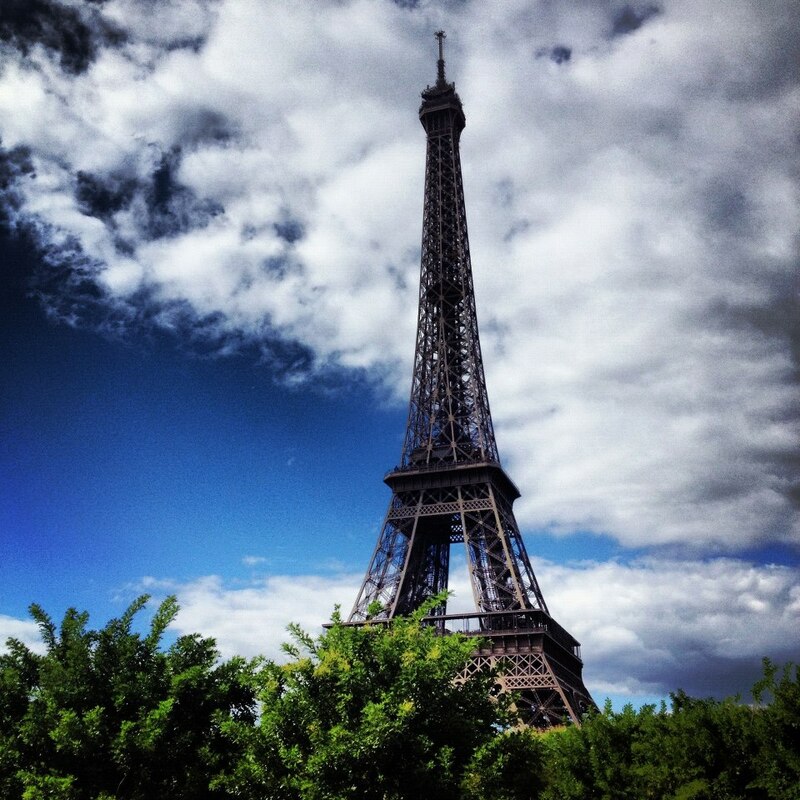 We were sad to see the honeymoon come to an end, but at least we ended it with a bang in a beautiful city like Paris! This restaurant was in the St. Germain neighborhood of Paris. Café Louise is right on St. Germain Boulevard and serves many traditional French dishes. 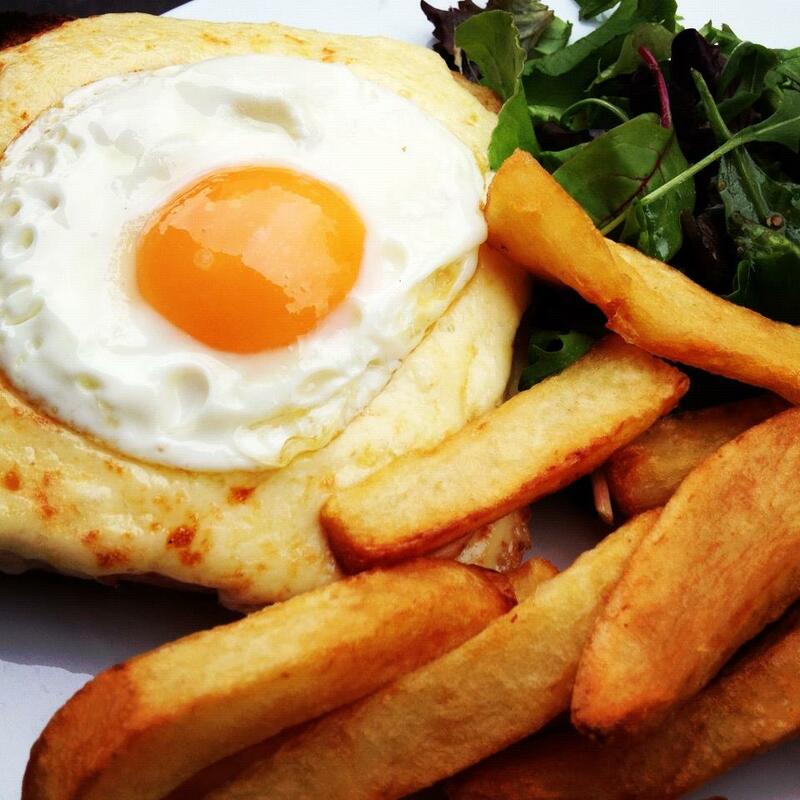 Gareth ordered a croque madame, which is a toasted ham and cheese sandwich topped with a fried egg. 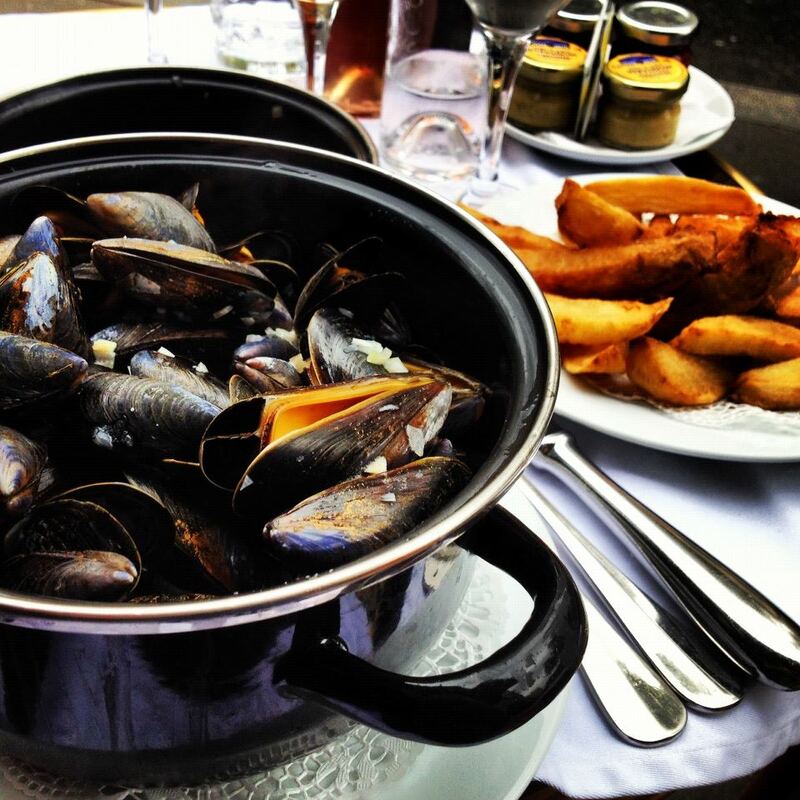 I went for moules marinières (mussels) served with frites. The mussels were cooked in a sauce with white wine and shallots. The food was excellent and was a great representation of Parisian food. Café de la Paix is a historical restaurant that was opened in 1862. It is located right across the street from the famous Palais Garnier, which is an opera house that was designed by Charles Granier. Charles Granier also designed this café. Due to its proximity to the opera, many famous people have frequented the restaurant over the years. Gareth and I dined on their patio for lunch, which is much less formal than the interior restaurant. 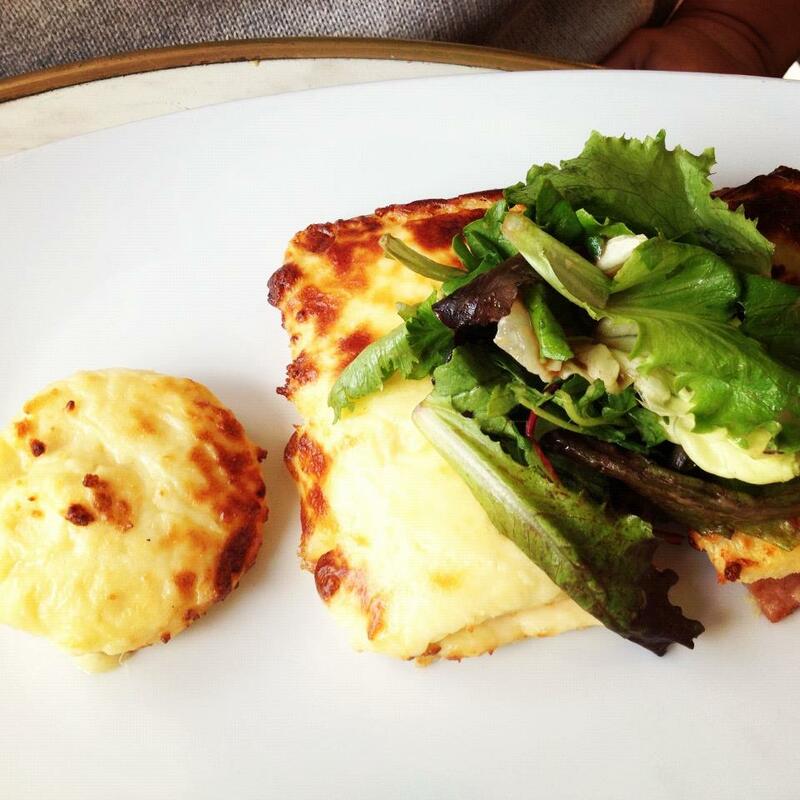 Gareth had a croque monsieur, which is the same as a croquet madame but without the fried egg. 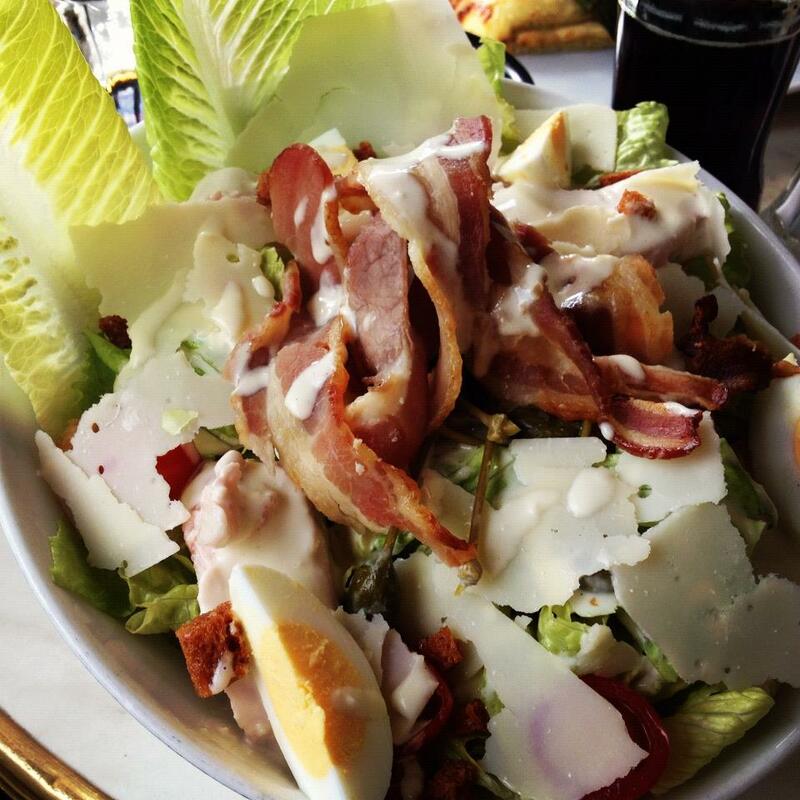 I had the Caesar salad which had eggs, shaved parmesan, croutons and bacon. 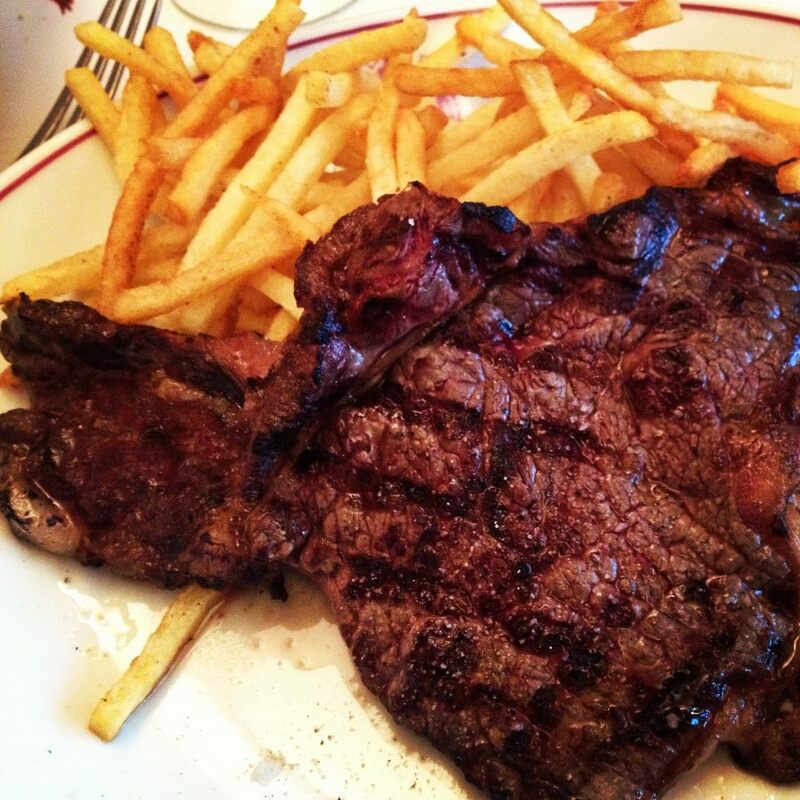 This restaurant only serves one thing: steak frites. They don’t take reservations, so there was a line of guests waiting for the restaurant to open at 7pm. Dining here is quite an experience—they don’t even have a menu! After you are seated, the waitress asks you how you want your steak cooked and then brings you a house salad. After you finish your salad, the waitress plates the steak and frites for you tableside. 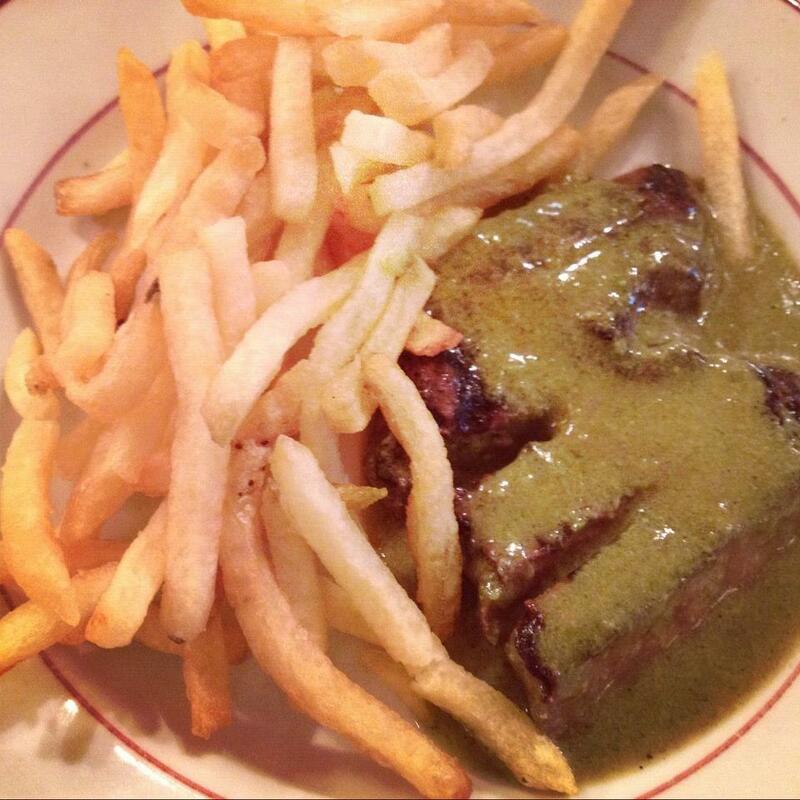 The steak is perfectly seasoned in butter, garlic and herbs and the frites are perfectly crisped. We got crème brûlée and raspberry sorbet for dessert to top it all off. This was one of our best meals of the whole honeymoon. We highly recommend it! This restaurant was right next to our hotel so we decided to give it a try for lunch. Chez Papa serves southwestern French cuisine. The food is hearty and the service is friendly and welcoming. 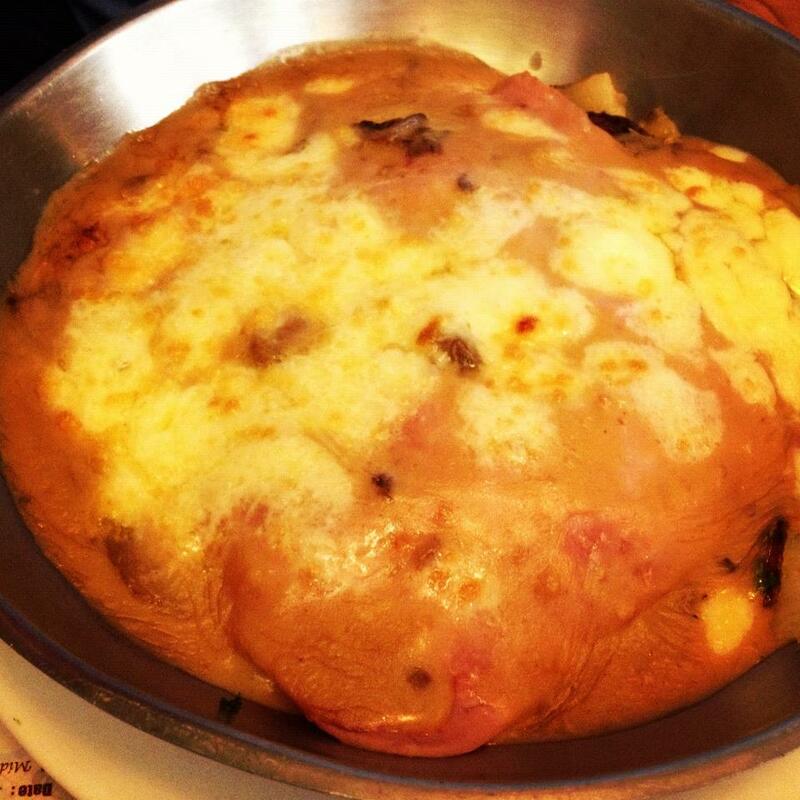 Gareth ordered a skillet with potatoes, ham and cream sauce topped with melted cheese. 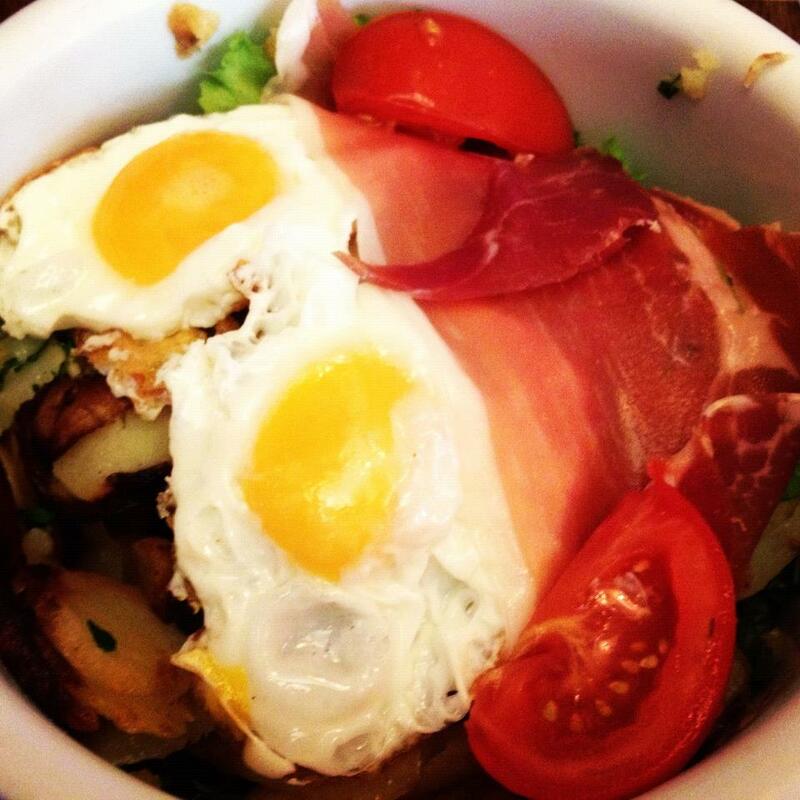 I ordered a salad that had potatoes, fried eggs, ham, tomatoes and romaine lettuce. This is a great, casual spot for a delicious and filling meal. We took a break from eating traditional French cuisine and dined at this delicious Italian restaurant. 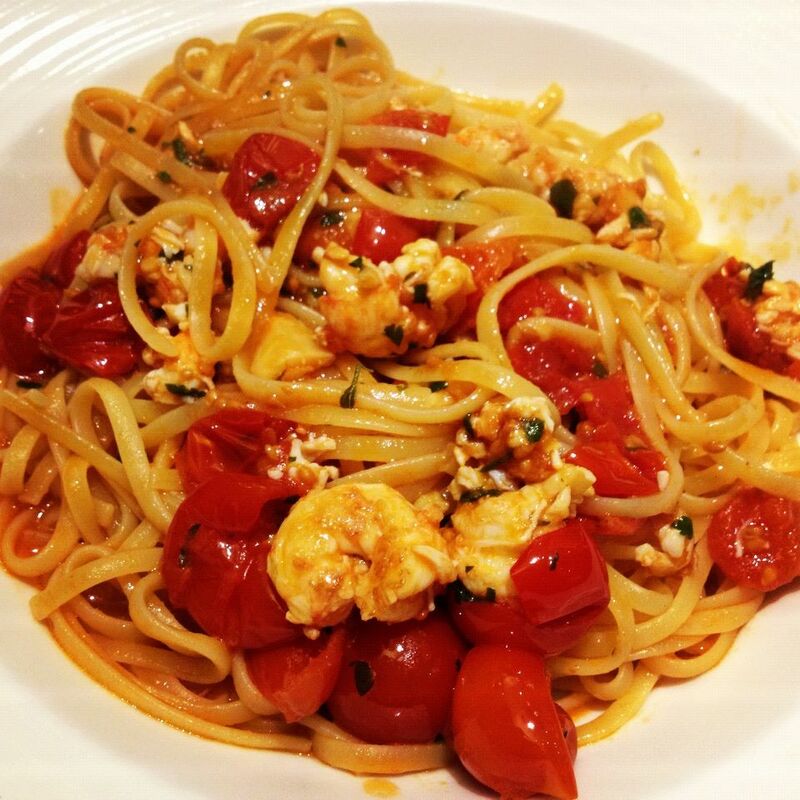 I ordered the linguine aux crevettes, which had linguine and shrimp in a cherry tomato sauce. The sauce was light, tangy and bursting with flavor. 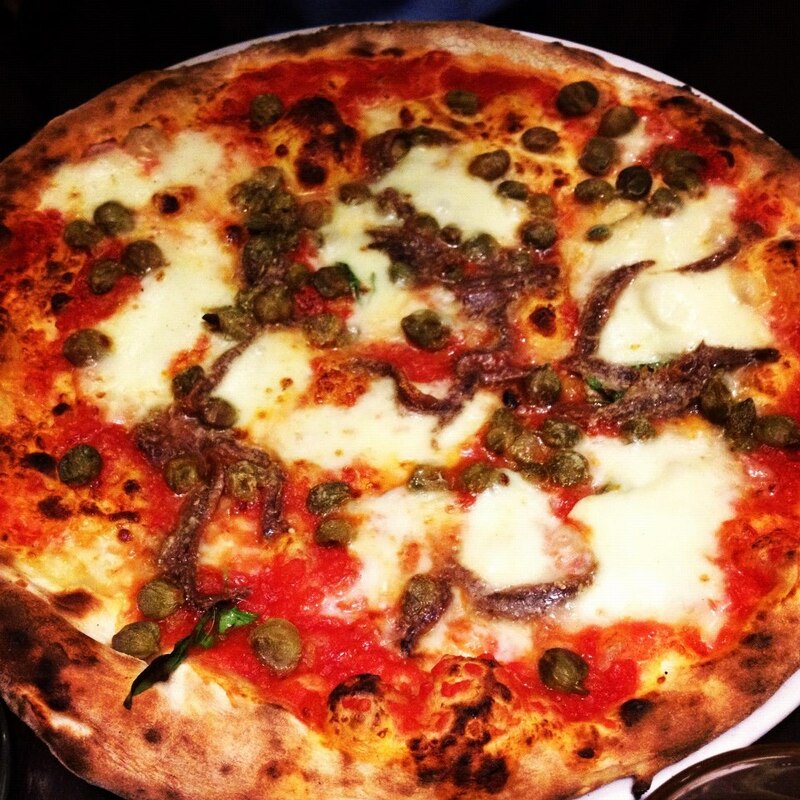 Naturally, Gareth ordered a pizza with his stable toppings of anchovies and capers. As you can see, this pizza was topped with cheese, unlike a lot of the pizzas in Aix. This was my favorite meal of the entire honeymoon! 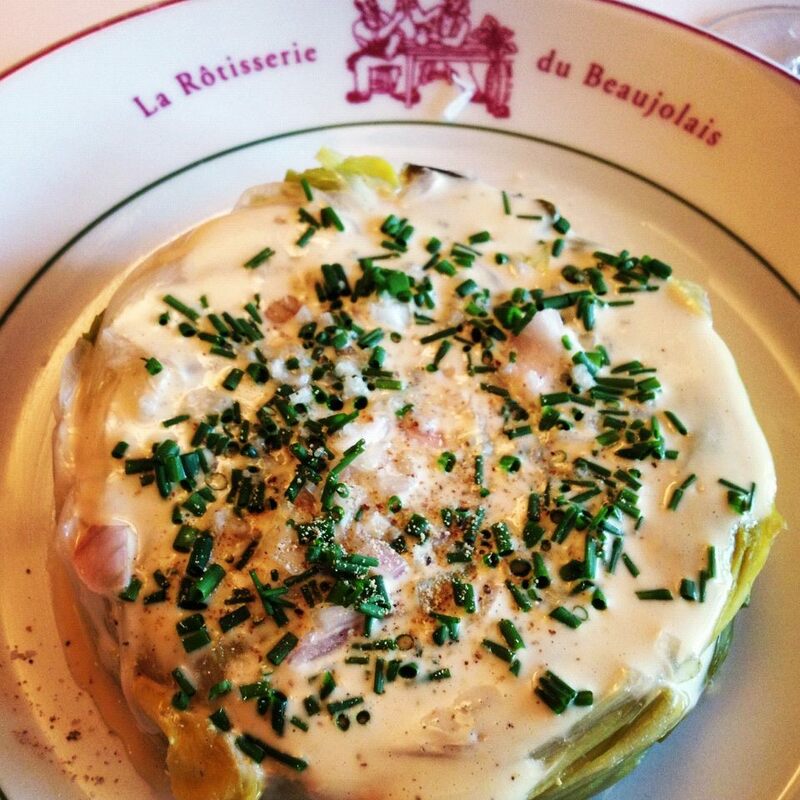 La Rôtisserie du Beaujolais is a truly authentic French bistrot with a friendly atmosphere and exquisite food. We ordered escargot and a warm leek salad to begin our meal. 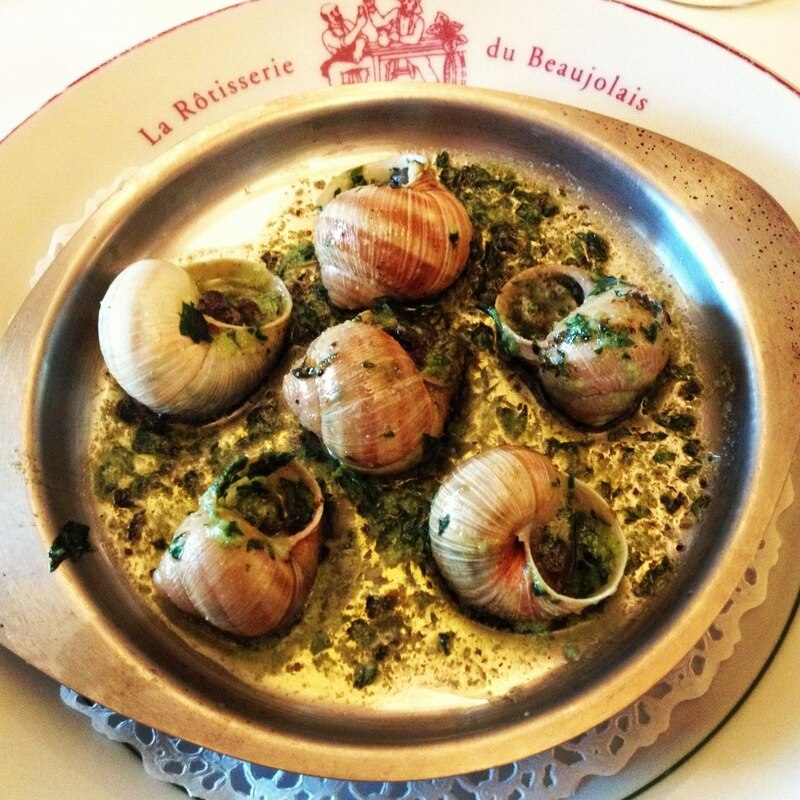 The escargot was cooked in butter, garlic and herbs. The leek salad was served warm and topped with chives and French dressing. Gareth and I each ordered the steak frites for our entrée. The steak was fresh, high quality meat that was butchered right in the restaurant. 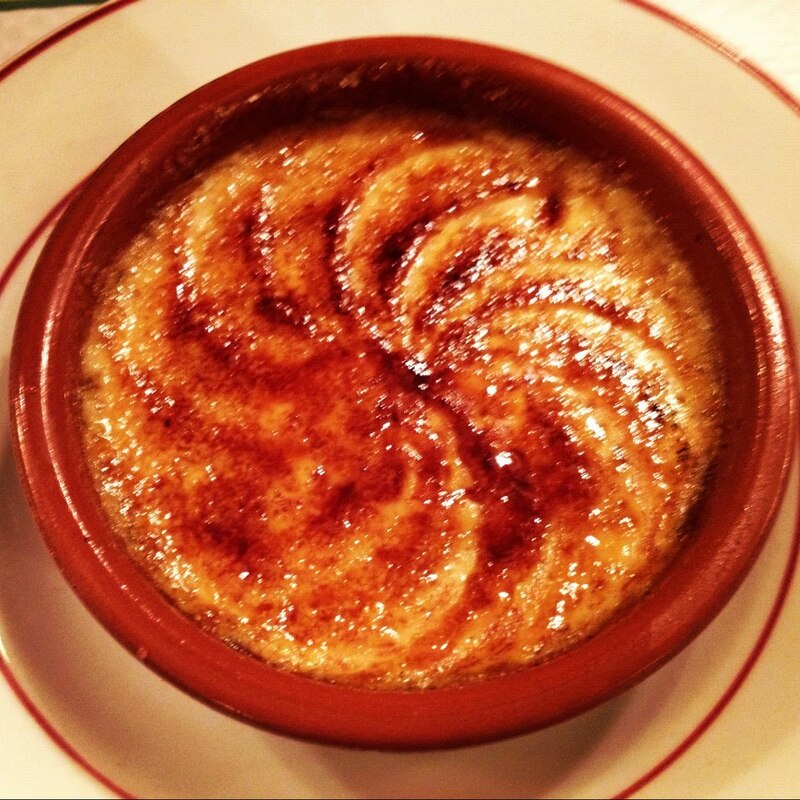 We completed our meal with the quintessential French desert, crème brûlée. Overall, this dining experience was perfection from beginning to end. ← Honeymoon Part 5: Aix-en-Provence.